One's Customs just recently posted a new video review for his latest 1/6 scale Jason Voorhees figure and this one really showcases the unique look of the character from Jason Goes To Hell. And yes, this is a collaboration as One's Customs developed the body of the figure while the head sculpt is from another customizer. 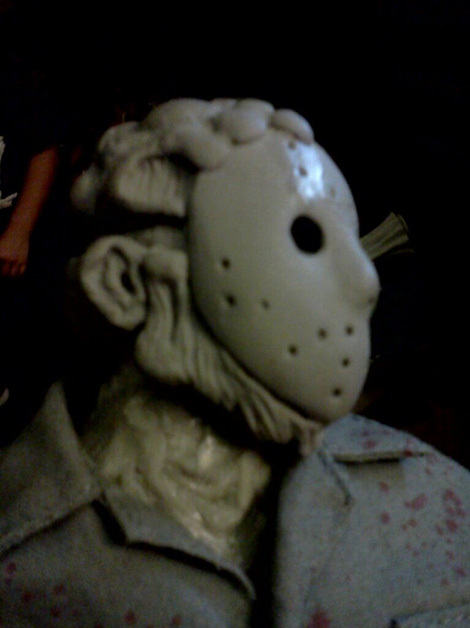 At the very end of December of 2010, we reported on an awesome head sculpt for Jason from Friday the 13th Part 8: Jason Takes Manhattan. The sculpt was created by another very talented customizing artist named Betomatali. 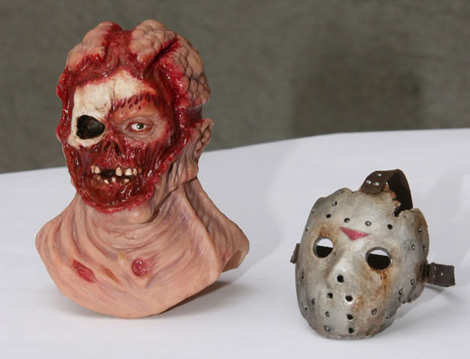 He also created an even better, more detailed head sculpt for Jason from Jason Goes To Hell: The Final Friday. And that is where the term collaboration comes into effect. 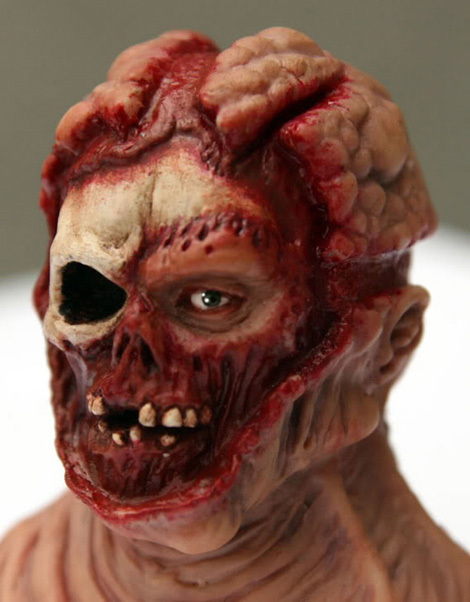 The video posted below combines the work of One's Customs' body of the character with the Betomatali's head sculpt. The result is a truly special customized 1/6 scale figure of Jason Voorhees. 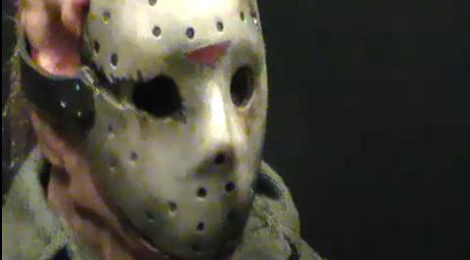 In the video, the hockey mask is not removed from the head. However, for those that would like to see what the face of Jason looks like, we got you covered. Photos are below the video! If interested in commissioning Betomatali for any type of custom sculpt, please email him at betomatali@gmail.com. 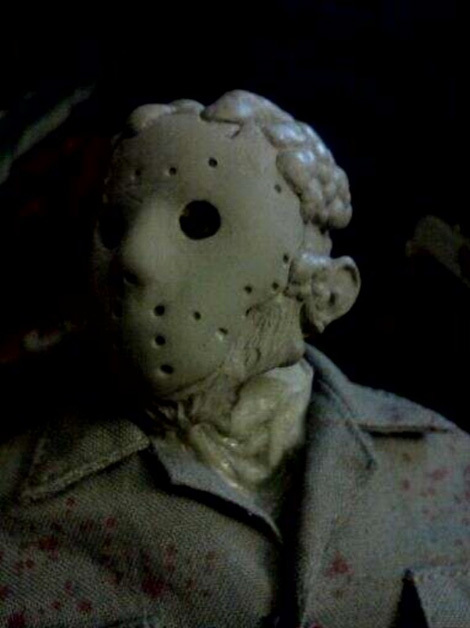 One's Customs doesn't want to just stand by and only create bodies for Jason Goes To Hell, so he has started t﻿o create his own sculpt for Jason in Jason Goes To Hell. 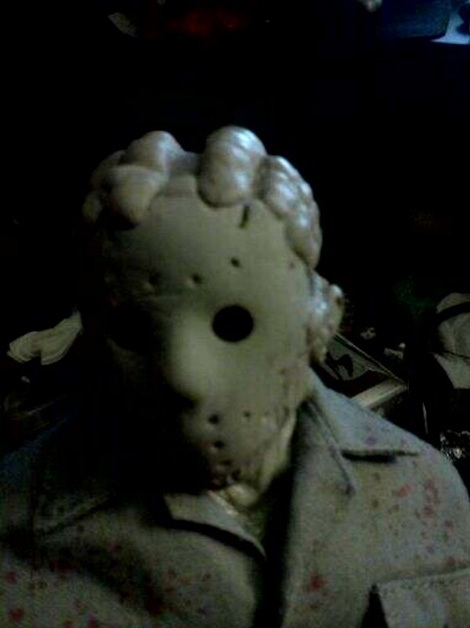 Below are in-progress images of work on his very own Jason Voorhees head sculpt to send Jason down under. The hockey mask can be made to seperate from the head upon request. If you have any questions about his work, make sure to visit One's Custom's Youtube Channel and send him a message!